Along my faith journey about ten years ago, I decided that the church was not historically true. This lead to a period of struggle for many years over what exactly I would do with that new understanding. I related to that difficulty to find God and to struggle with doubt. I felt like I had already rejected Mormonism and closing down my belief in God, but something inside me wouldn’t sit still, and I couldn’t find peace without more seeking. I read Terryl Givens talking about faith as a choice, and I was very frustrated by it. Faith is not a choice! How can I just randomly tell my brain to believe in something it doesn’t think is factual??!! Understanding the metaphorical and sacramental paradigm of religion as defined by Marcus Borg, helped me finally understand what these Progressive Mormon voices were teaching. Marcus Borg argues that faith as belief is a concept that’s been hijacked by the modern church (speaking of Christianity in general) when faith historically has been more of a multi-faceted concept, with emphasis on faith as faithfulness. I accept this as a proper definition of faith with one quibble. I believe faith as fidelity is not just faithfulness to God but also assumes faithfulness to the teachings and standards of the religion you choose. We can now interpret the leaders of Progressive Mormon thought in this new light. Prince: Let’s start by considering the question of how religions understand themselves in relation to other religions. I think if we had enough data points we would probably find that most, if not all religious traditions at some point in their maturation process either said, “We are better,” “We are the best,” or, “We are the only.” I think that the ones that I would consider the more mature have softened those stances. Kushner: Yes, due to reality. Prince: The Mormons immediately populated the top one and have been very reluctant, or incapable of vacating it. Kushner: My take on that was to say, “Our religion is the best” is like saying “Our baseball team is the best.” It’s not a statement of fact; it’s a statement of loyalty. Kushner: Yes, right. “My mother is the best cook.” it’s not factual. Prince: My mother was–I don’t know about yours. “These things are just immensely complicated and there is no way that through picking through and looking at everything you can arrive at certain conclusions. That’s easy for me as a scholar to say because that’s the nature of historical knowledge. Every historian knows that the biggest questions are all unanswerable or you have very restrictive answers to most of the big questions. I used to know the gospel was true. Then I knew it wasn’t true. And Finally I have arrived at where I am today, which is I have hope and believe. I no longer know, but for me that is ok. I am comfortable with uncertainity and I no longer feel the anxiety of cognitive dissonance. I choose to believe in spite of what I see as incongruities and complexity. This is exactly the kind of statement that used to really bother me, before I moved from a literal to a metaphorical paradigm and accepted faith as something denotes choice not necessarily belief. Truth to a literal believer is limited to only statements that are factual accurate. Truth to me now is doctrine that leads us to understanding about God and ourselves, and leads us to a better, higher, happier state of living. 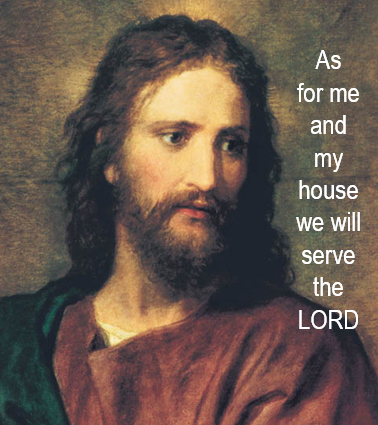 I choose to have faith in the gospel of Jesus Christ as restored by Joseph Smith. I understand the historical claims of our church’s origin are messy. They might even prove it is false, if you are restricted to a narrow, literal view. But by a larger definition, I believe the church is true. The evidence of the church’s truth is the rich abundance I feel in my life when I engage fully in the church. I find God in the Mormon church, and my life is enriched.